Conventional medical care almost completely ignores the problem of widespread and epidemic toxicity; nor does it realize the direct connection between it and today’s illnesses. Three facts poorly understood by most people and by virtually all doctors are: (1) The entire population is quite toxic today, even newborn babies. (2) Everyone is mineral deficient, and this also includes newborn babies. (3) As one becomes more nutritionally depleted, more toxic metals and often more toxic chemicals are absorbed. 1. Toxic metals. These include mercury, lead, arsenic, aluminum, nickel, cadmium, antimony, strontium, bismuth, uranium and a few others. This group also includes toxic forms of vital minerals, such as iron, copper, manganese, cobalt, boron, molybdenum, lithium, chromium and selenium. These elements — in the wrong forms — can be irritating and toxic. Toxic metals and toxic forms of physiological minerals are the worst type, in my opinion, although the U.S government says that toxic chemicals are worse. In my clinical experience of 35 years, most chemical toxins come out of the body rather easily with a proper program. Removing toxic metals, however, takes years and cannot be done deeply enough with chelation therapy of any kind. Removing them requires a nutritional balancing program and at least several years just to remove the worst of them. Also important to know is that urine challenge tests, blood tests, stool tests and others cannot detect most toxic metals because they are hidden deep in the brain, liver and elsewhere. 2. Toxic chemicals. We are surrounded by several thousand toxic chemicals in our water, air and food supplies today. They range from pesticides and insecticides (which are among the worst) to solvents, food additives, packaging materials, and industrial effluent from factories, car exhaust, building materials and more. A specific nutritional balancing program can slowly remove all of them. However, most health programs cannot. 3. Biological toxins. These are infective organisms, such as bacteria, viruses, parasites, fungi, cancers and others. Most secrete toxic chemicals called endotoxins and exotoxins. A very important source of biological toxins comes from vaccines, booster shots and flu shots. Not only do they introduce the intended virus or germ into the body, but many are contaminated with other germs, as well. In almost all cases, they also contain chemical toxins and toxic metals. Another set of biological toxins is made inside our bodies when our digestion is weak. This is almost universal today. When food ferments or putrefies in the intestines, it not only causes smelly gas, but it also generates toxic chemicals, such as indols, skatols and cadaverine. These chemicals may cause few symptoms, but they poison the liver and the entire body. 4. Electrical and electromagnetic toxins. These include various emanations, frequencies, electric and magnetic fields of many types that are incompatible with human physiology. They come from portable phones, cell phones and cell phone towers, radios, Wi-Fi and wireless devices. Some emanate from automobile ignition coils, televisions, computer screens and other computerized devices. Other sources are high-tension power lines, transformers, some junction boxes, flickering types of lights, such as fluorescent lamps, light dimmers and other electrical devices. They also include geopathic stress lines in the earth. These are natural sources of emanations, some of which are healthful, while others are harmful. They are everywhere and impossible to avoid completely. However, some people feel less comfortable in certain locations, and dowsers can often locate these spots or lines and help people move their beds and other furniture to avoid them. This is getting to be a huge problem on our planet. Please limit your use of these devices if you want to stay electrically clean. 5. Ionizing radiation. This comes from all X-rays, especially CT scans, and from living near a nuclear power plant, accidents at nuclear power plants and a few other sources. Some people believe our toxic world is just an accident due to carelessness with our technology. However, if one studies the situation carefully, it is hard to escape the conclusion that at least some of the toxicity today is planned. You might ask: Why would someone want to make the world toxic? The answer, sadly, is not too complex. It is to weaken and exploit people, take their money, and sell them drugs and operations. Then you might ask: Do I have proof of this? The answer is “yes.” However, one must dig a little into the medical research to realize that some of it has been suppressed or changed in a way that ultimately harms people. Examples I have come across are the research on vaccine dangers, water fluoridation, dental amalgams, root canal procedures, nickel braces and nickel added to plastics and other materials. Other suppressed or altered research concerns aluminum dangers from antiperspirants, antacids and aluminum added to municipal drinking water supplies, as well as the dangers of commonly prescribed medical drugs, such as statin drugs, anti-depressants, oral diabetic drugs and even marijuana. If one reads carefully, some special interests support the continued use of toxic substances, even though some medical researchers and other scientists know better. While this may sound paranoid, sadly, it is the truth today. • Conventional medical care almost completely ignores the problem of widespread and epidemic toxicity; nor does it realize the direct connection between it and today’s illnesses. This will change eventually, but I have been writing about it for more than 30 years. I fear it will take a while longer because even the holistic and naturopathic doctors do not understand it yet. If they did, doctors would immediately stop prescribing most drugs and some surgeries, as both are toxic methods of treatment. Doctors should also be more careful with herbs and even homeopathy, as these are not benign in many cases. Doctors and public health officials also need to teach people to clean up their homes, offices, diets, the water they drink and bathe in, and every aspect of their lives. Some people believe our toxic world is just an accident due to carelessness with our technology. • Congenital nutrient deficiencies. Most children are born depleted due to their mothers’ nutritional depletion. • A mineral-depleted food supply. This is largely due to soil mining or improper farming methods used around the world. As a result, most of the world’s soil is depleted. Many nations now grow hybridized and GMO crops designed to grow in depleted soil, but they do not contain nearly as many minerals as older crop varieties. This is amply proven by USDA statistics. • Refined- and junk-food diets. This includes consuming white flour, white rice, refined sugars and refined table salt, and a lot of wheat and irritating foods that damage the intestinal tract. • Raw foods. Comsuming them makes mineral nutrition worse. The problem is that our bodies do not absorb enough minerals from raw foods because we cannot break down the vegetable fibers, as do cows and animals that live on raw food. • Vegetarian diets. In my experience, these are always deficient. • Fast food and processed foods. Most fast food is high in chemical toxicity. Several thousand chemicals are permitted to be added to most processed and prepared foods. These damage the intestines and reduce nutrient absorption. • Poor eating habits. Stressors that reduce digestive strength include eating while driving, standing up or at your desk while working. • Chronic illness. Illness reduces digestive ability significantly. • Fatigue. It reduces digestive ability in a vicious cycle that leads to more illness. • Medical drugs. They can irritate the intestinal track and worsen digestion. Some drugs also interfere with and use up nutrients. Most contain toxins, which further damage digestion. I am not hopeful that mainstream and even most holistic doctors and naturopaths will someday soon understand just how serious this problem is. If they did, they would not waste money on expensive tests and drugs, but would first correct the diet, improve digestion and encourage proper nutritional supplementation to reverse this terrible situation. In my experience, when this is done and a digestive aid given, most health conditions are cured without a need for fancy expensive tests, hormone replacement, chelation, drugs or even surgery in most cases. This is how powerful proper nutrition and releasing toxins can be. Home and garden — Pesticides, insecticides, solvents, bug spray, some paints, glues, etc. Body care — Nail polish, hair spray, hair dye, soaps, shampoos, cleansers, lotions and creams, perfumes and colognes, sunscreen, tattoos, body piercings, nickel-coated rings and other jewelry, deodorants and antiperspirants, tampons, some spermicidal gels, many over-the-counter remedies, and some clothing due to synthetic materials or detergent residues. Medical drugs — Nearly all are quite toxic and should only be used when absolutely necessary. Look for natural alternatives, which do exist for many medical drugs. Sadly, hormones are among the most toxic; yet the toxicity is subtle. Holistic remedies — Chinese and Ayurvedic herbs, other herbs, homeopathic remedies, chelating substances, natural bio-identical hormones, and some vitamins and mineral products, such as fulvic acid, humic acid and margarine. Dental — Wires, bridges, braces (nickel), amalgam fillings (mercury), root canal-filled teeth (always infected). Activities — Golfing and running (due to pesticides on the grass), swimming in pools and use of hot tubs (germs not killed by chlorine), and exposure to lead, solvents, paints, clays, gasoline and more. Also included is recreational drug use, such as marijuana, smoking anything and alcohol use. Occupational exposure — Poor ventilation, chemical exposures from building materials, such as carpeting and formaldehyde in pressed wood products, and much more. Air pollution — Low oxygen, cadmium from brake linings, manganese and other chemicals in gasoline, toxic building materials that outgas, plastics and other materials at home or work. Water pollution — Plastics in reverse osmosis (RO) water, chemicals added to drinking water by municipalities, minerals added to water, alkaline water machines, chlorine, fluorides, copper, aluminum and more. Food contamination — I find that all fish are contaminated with mercury today, except very small fish, such as sardines (an excellent food). Seafood is even worse. Fruit is often contaminated with NPK fertilizer residues. Prepared and commercial foods also may contain up to a hundred or more questionable food additives, such as preservatives, colorings, flavorings, dough conditioners, thickeners, etc. 1. Minimize all drug use. This includes medical drugs, anesthesia, vaccines, flu shots and most over-the-counter remedies. Avoid recreational drugs and alcohol. I would also avoid many holistic or natural remedies, such as herbs and random vitamins. 2. Try to have clean air and water. Buy an ozonator/ionizer air purifier for your home and workplace. 3. Minimize the use of body care products. Use only pure and natural products. 4. Avoid hot tubs and swimming pools. These usually contain germs; plus, toxic chemicals are used to sanitize the pool or tub. Swim only in a clean ocean, lake or river. 5. Be monogamous sexually. Do not experiment with various partners or practices that can expose you to more germs. 6. Beware of toxic hazards and take steps to avoid them. Do not buy toxic products, and wear gloves and masks if you must be around toxic substances. Use all-natural products only. 7. Buy organically grown food whenever possible. Avoid most processed and prepared foods. 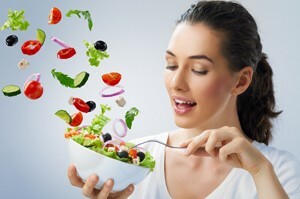 Do not eat raw food in restaurants, even salads. Avoid all fish and seafood, such as shellfish, except three to four cans of sardines weekly. Avoid fruit and fruit juices. 8. Drink only natural spring water or carbon-only filtered tap water. Plastic bottles are not a problem, in my experience. For the most part, do not drink RO water, alkaline water or unusual types of designer or other drinking waters. Most do not hydrate the body well, even if they are free of toxic metals and chemicals. Dr. Lawrence Wilson has a medical degree and has been in the health field for more than 25 years. His books include Nutritional Balancing and Hair Mineral Analysis, Legal Guidelines for Unlicensed Practitioners, Healing Ourselves and Manual of Sauna Therapy, and The Real Self. He also co-authored Toxic Metals in Human Health and Disease and contributed to The Dangers of Socialized Medicine. drlwilson.com or 928-445-7690.